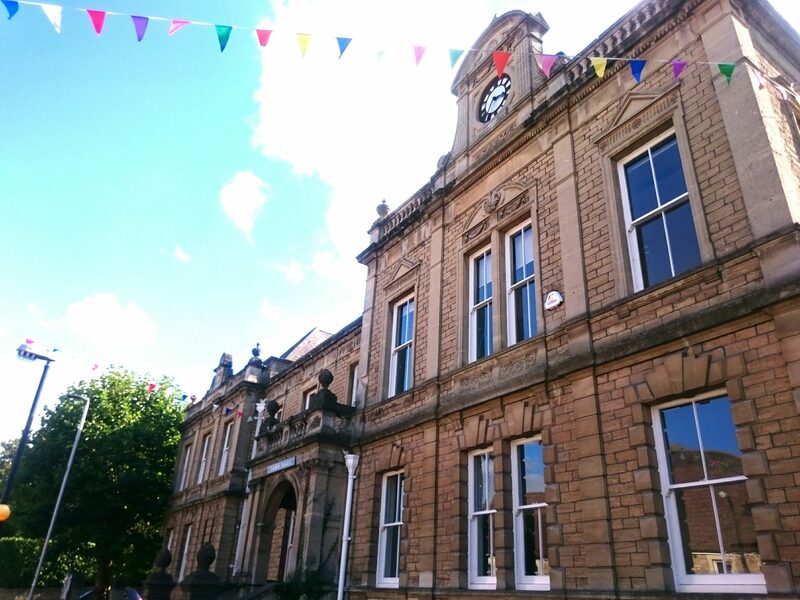 Recently renovated, Frome Town Hall now houses Frome Town Council and Information Centre. Please come see us if you would like to know more about what to see and do in Frome! WHY (We Hear You) and Frome FM also occupy this building. The Council Chamber and two meeting rooms and desk space are available for hire. Completed in 1892, the Town Hall was built on plans by the firm of architects, Messrs Halliday & Anderson of Cardiff, in an Italian Renaissance style using local stone quarried in the Butts. Box Ground and Bath stone were also used as dressings. As can be seen on the original plans, the building was intended to provide spacious offices for the Poor Law Union, Board of Guardians and Local Board. The Town Hall today retains certain original features both inside and out including the lovely mosaic floor and the clock. These have both now been lovingly restored. The building has a great tradition of public service, and is now renovated to be fit for the future. It aims to be a building for the community. To coincide with the reopening of the Town Hall on Christchurch Street West, local historian Lorraine Johnson has produced a book detailing the historic building’s past and legacy in the town. The book is on sale throughout the town, including at the Town Hall itself.